False. 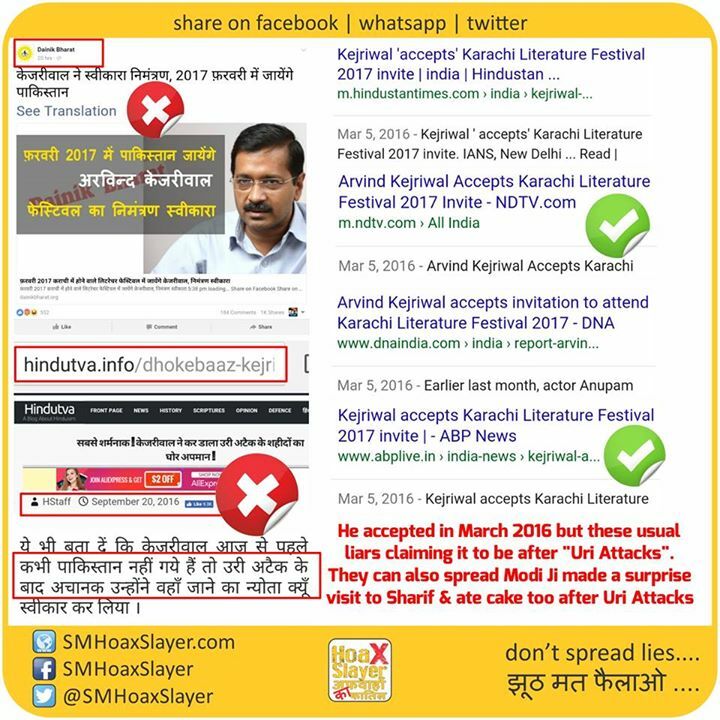 @ArvindKejriwal accepted invitation in March 2016 but these usual liars claiming that he accepted it after unfortunate “Uri Attacks”. They can also spread Modi Ji made a surprise visit to Sharif & ate cake too after Uri Attacks. So don’t share it. And they got 10000 shares and likes.